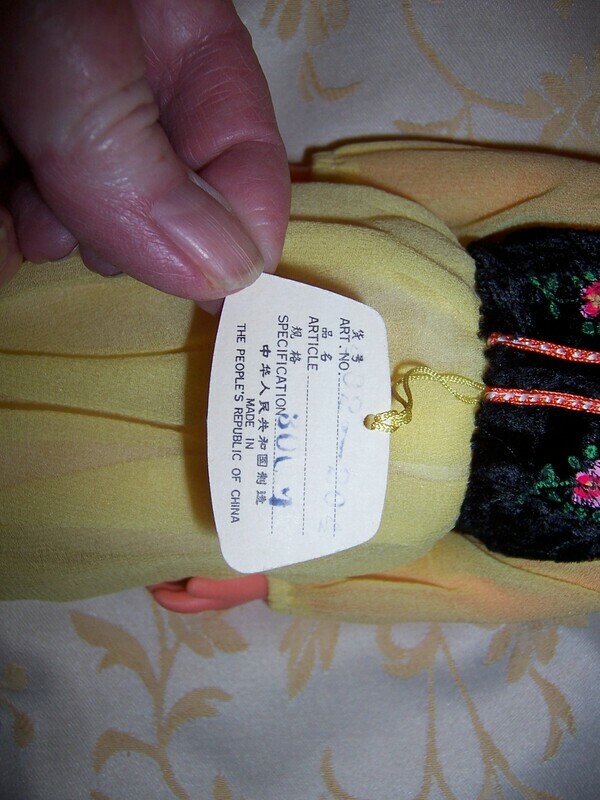 This pretty doll has her original paper hangtag still to her hand. 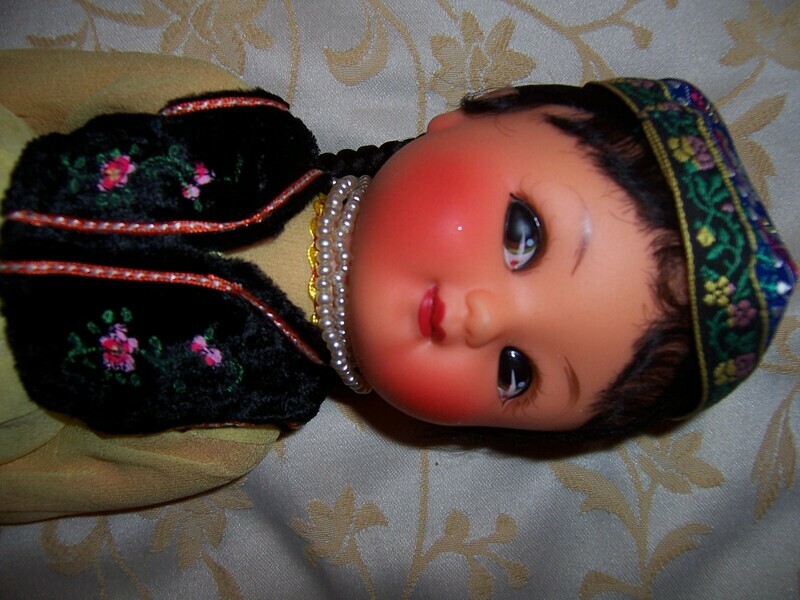 She is wearing a pretty traditional outfit, and has a pearl necklace around her neck. 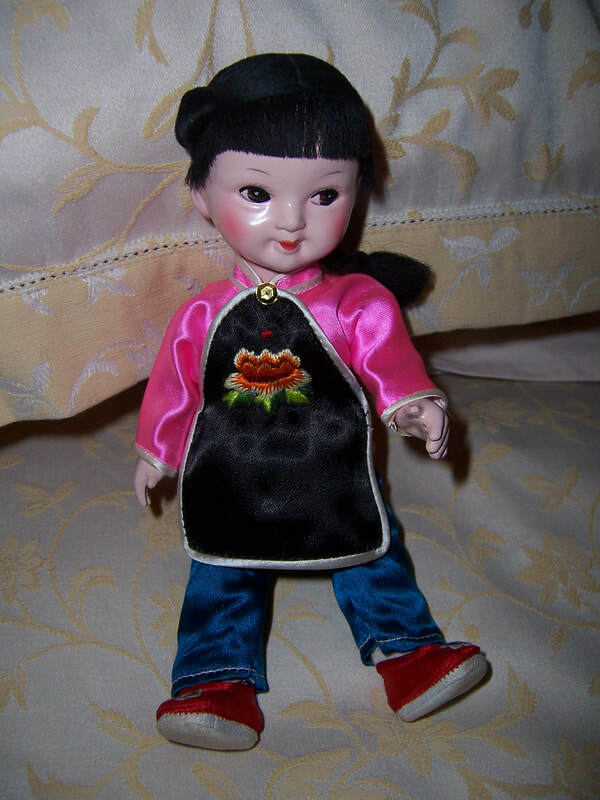 ​Under her dress are satin type long pants, socks and red vinyl shoes on her feet. 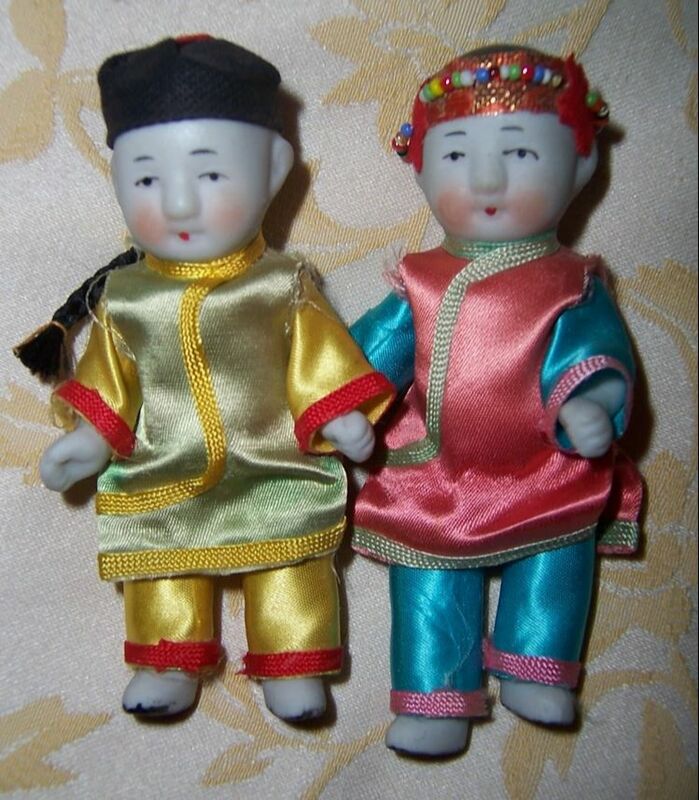 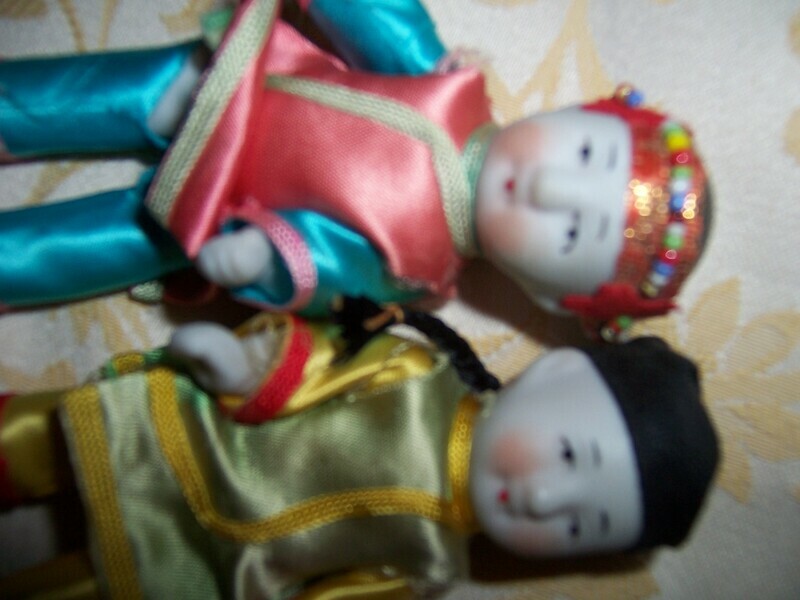 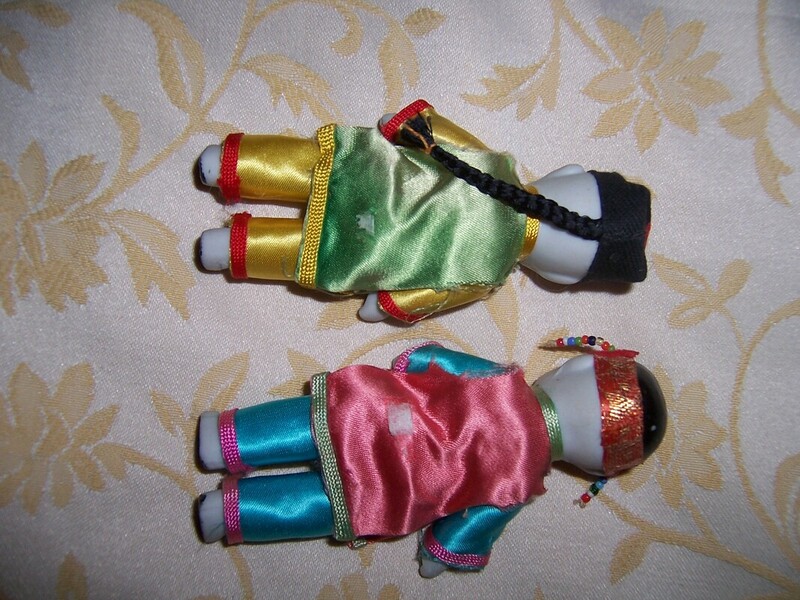 Two small white porcelain dolls in traditional outfit - one boy and one girl doll. 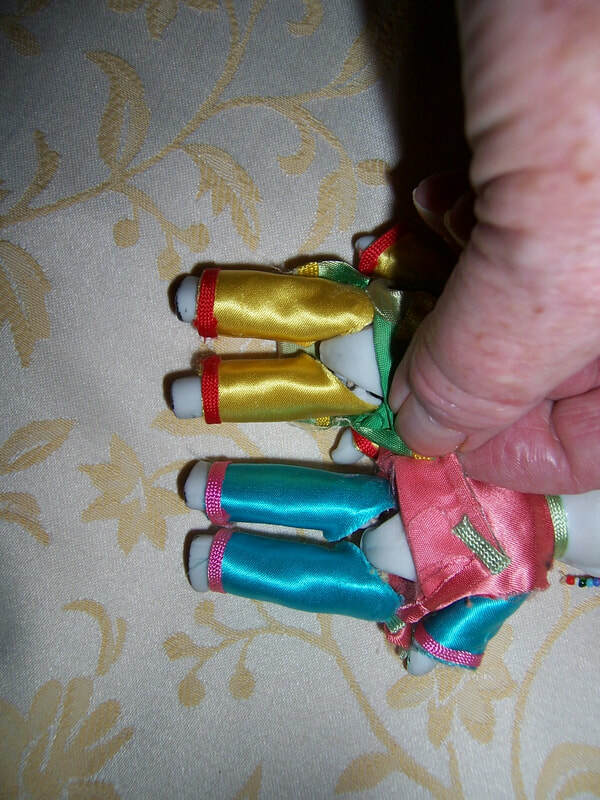 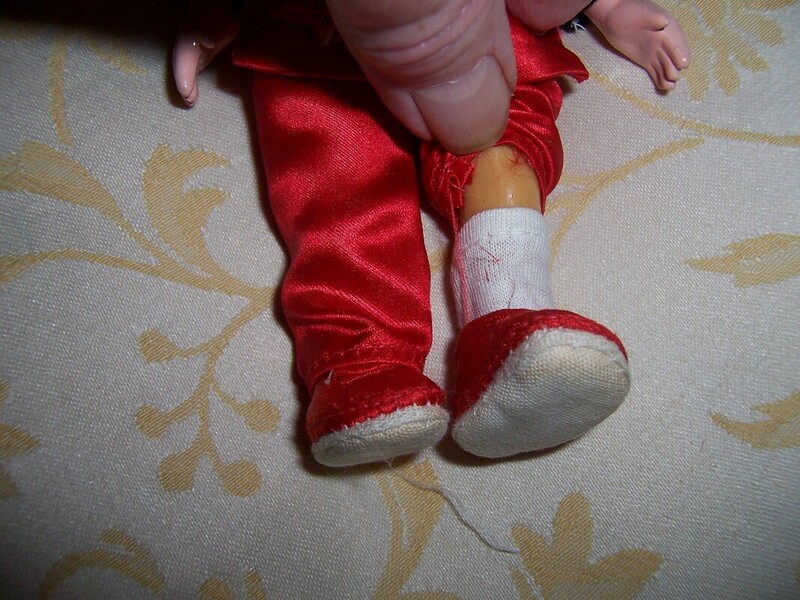 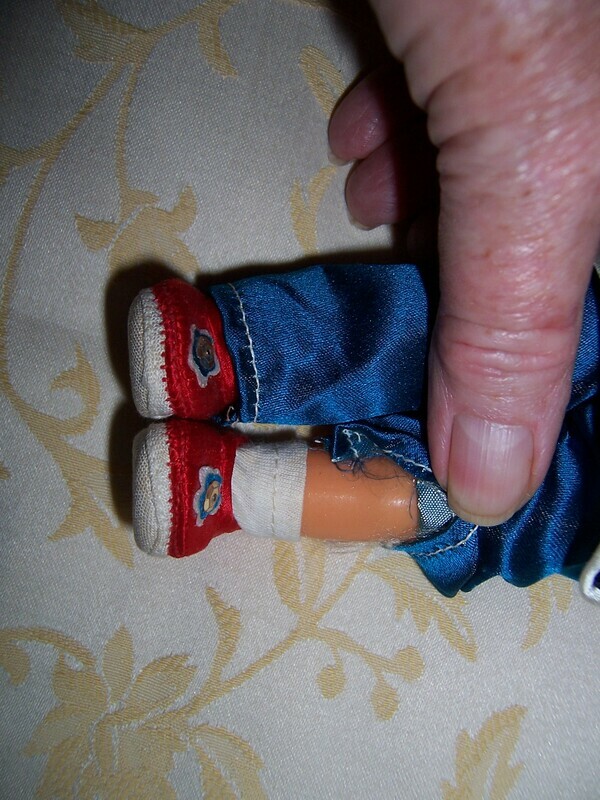 ,girl dolls leg stringing has stretched over the years. 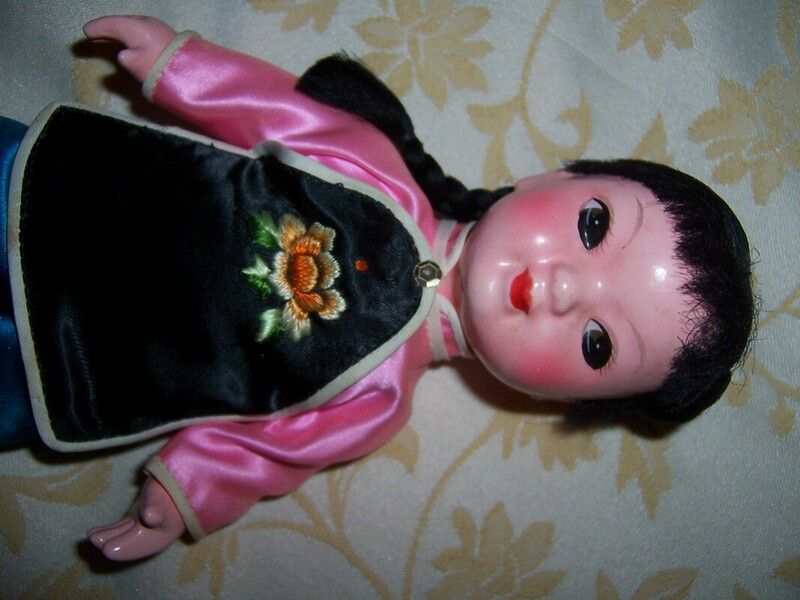 This doll has the look of a ceramic porcelain face and hands but in reality it is a flesh coloured plastic, and her legs are brown plastic. 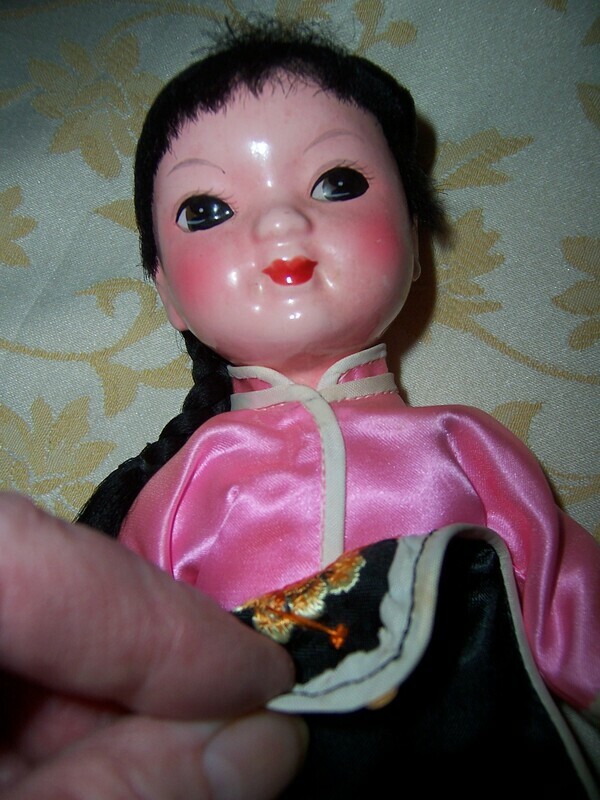 When you tap on her head it sounds hollow. 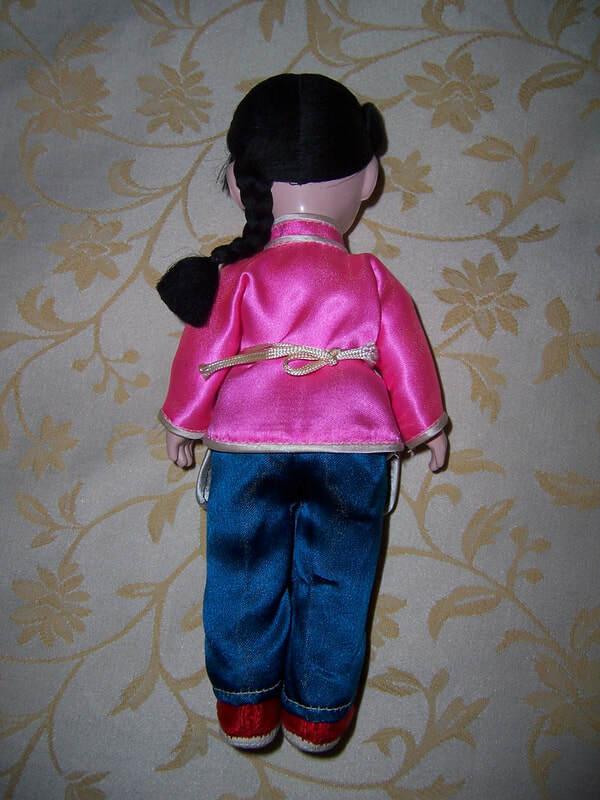 Her traditional outfit could be removed. 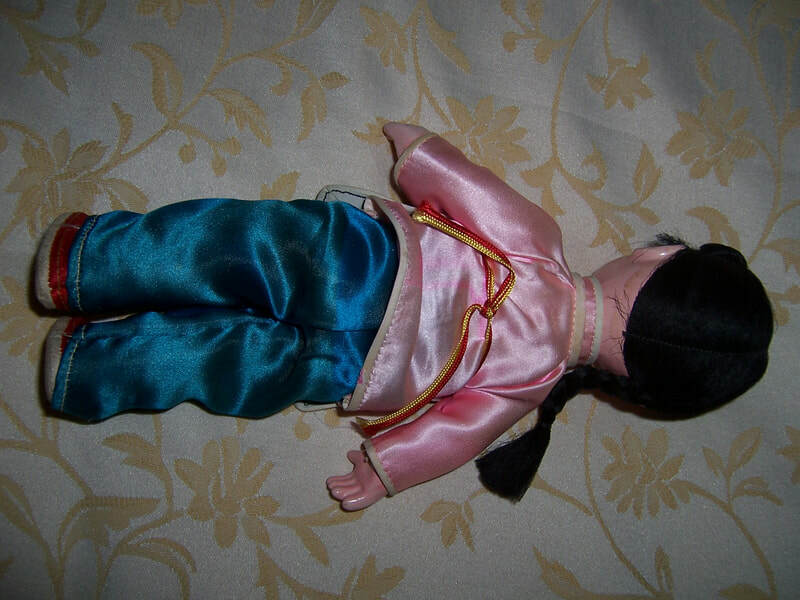 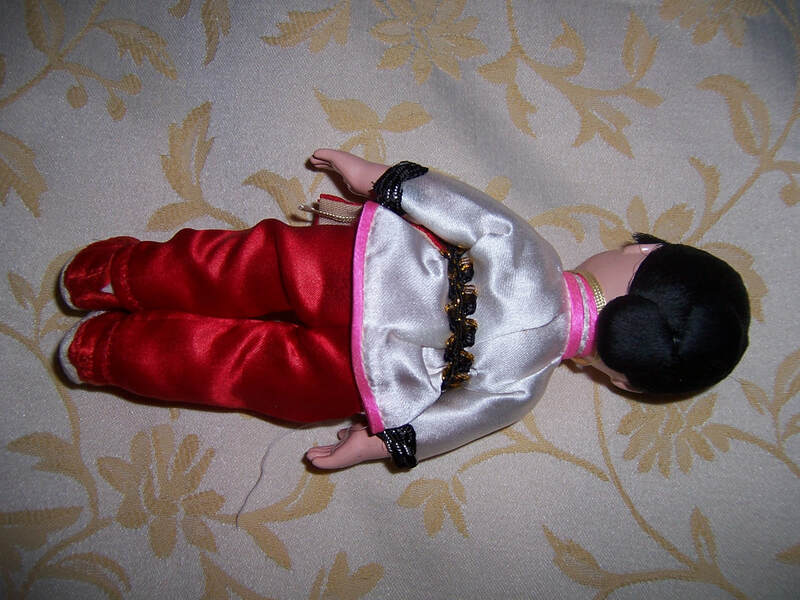 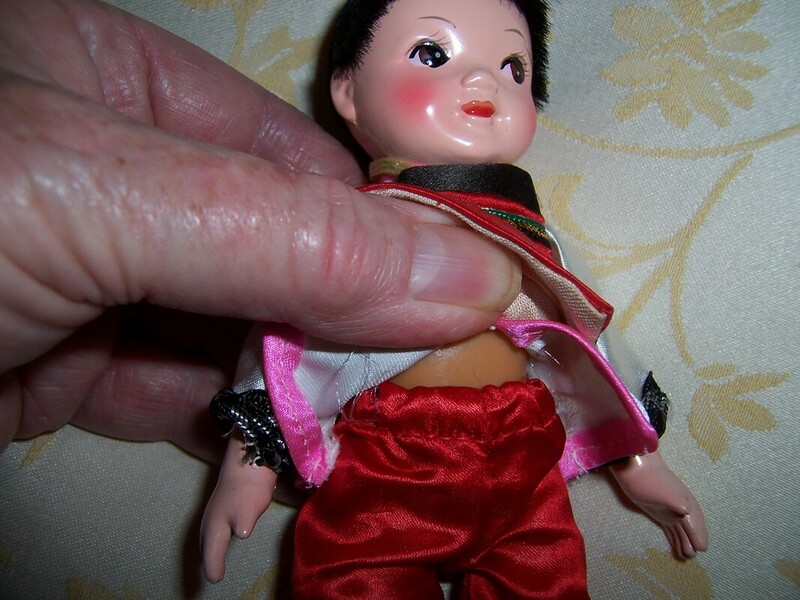 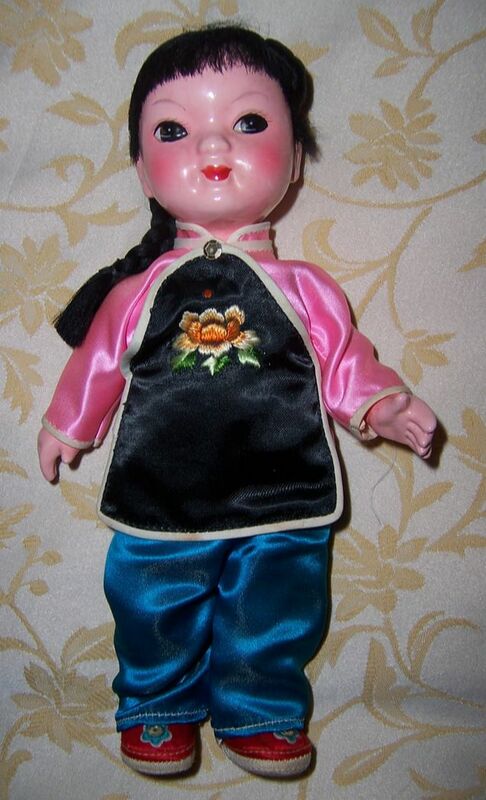 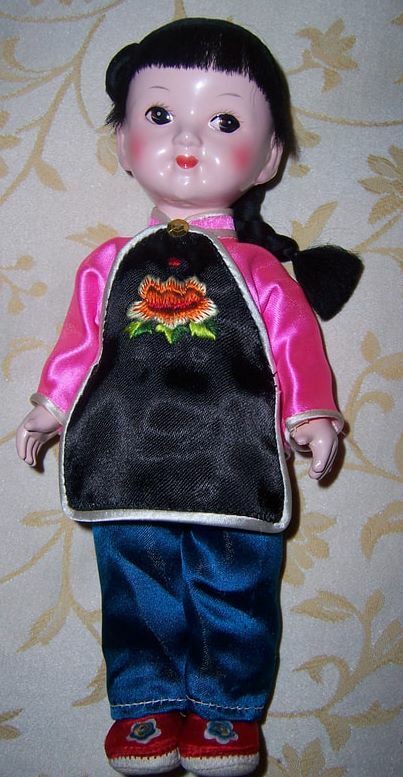 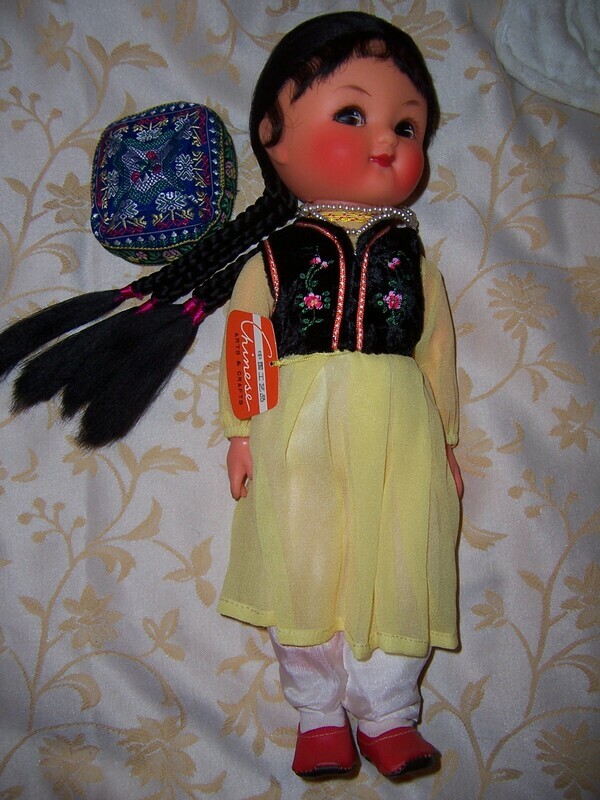 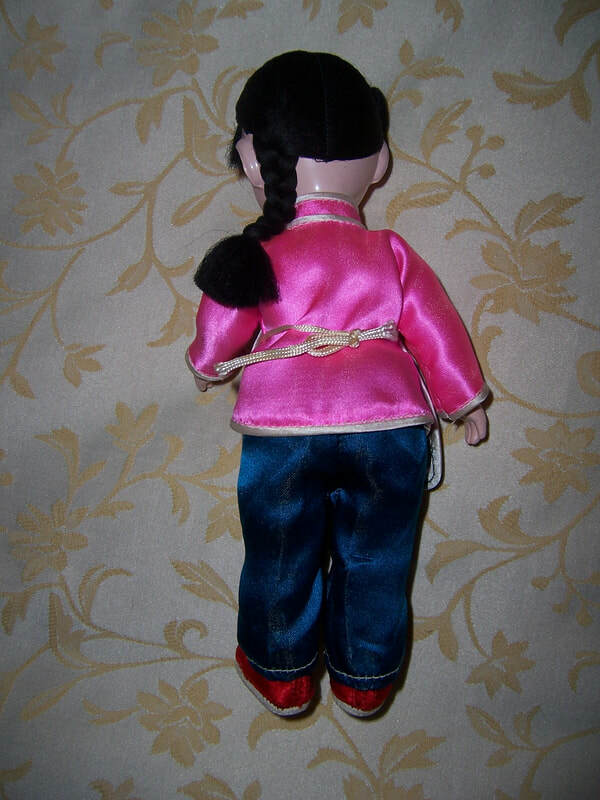 This small Chinese doll has the ceramic look of her face and hand but they are very light plastic and her body and legs are brown vinyl. 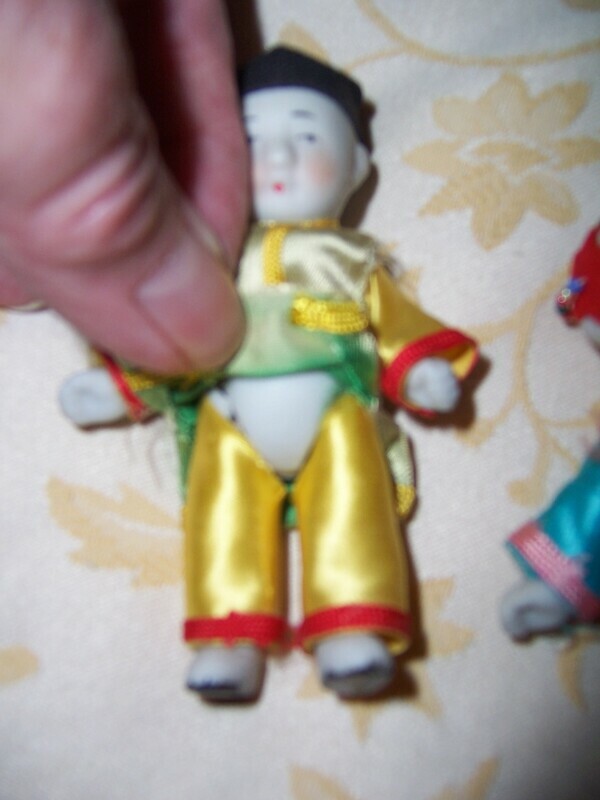 Her outfit may be able to be removed. 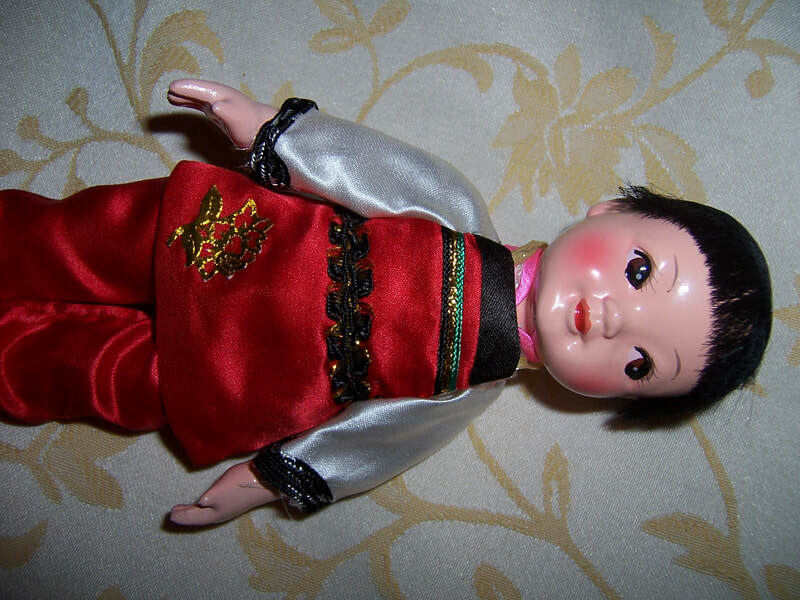 This cute doll is very similar to our other doll but this one is much heavier, and believe her to be made out of porcelain or composition.